TV/Film/Theatre signed collection. 16 items, mainly newspaper photos. 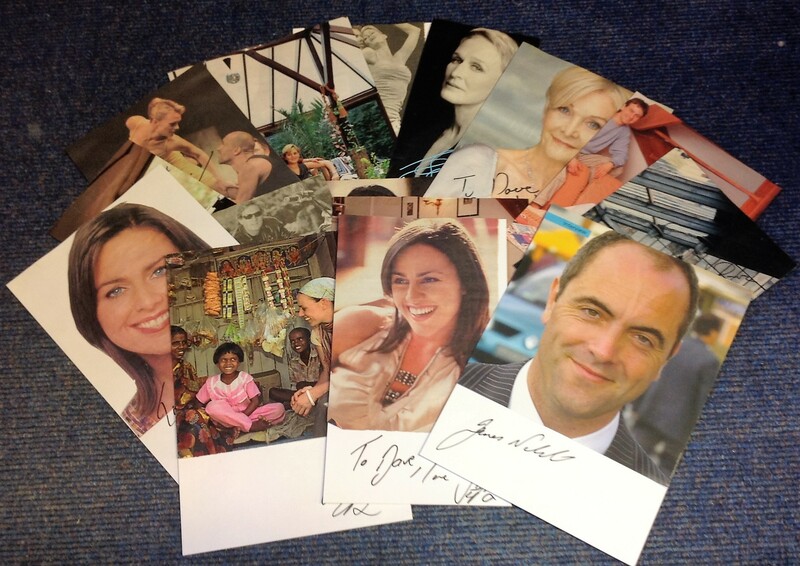 Some of names included are Leigh Zimmerman, James Nesbitt, Jill Halfpenny, Victoria Hamilton, Sheila Hancock, Nigel Havers, Ruthie Henshall and more. Some duplication. Good Condition. All signed pieces come with a Certificate of Authenticity. We combine postage on multiple winning lots and can ship worldwide. UK postage from £3.99, EU from £5.99, Rest of World from £7.99.